Flight delays, TSA lines and a $20 cheeseburger. The airport experience and traveling in general can be difficult at times, but sometimes you find hidden gems in places where you might not have thought possible. Oftentimes, it’s these amazing and impactful hidden gems that make you forget all about your airport’s annoyances and inconveniences. Get ready to experience the distinctive Phoenix Airport Museum at Phoenix Sky Harbor international Airport. This world class art museum rivals any museum in the state and is widely recognized as a leader in the airport museum realm. You may be surprised to learn that Phoenix’s Sky Harbor Airport has a long history of art and art exhibits in the airport. Sky Harbor’s museum origins began to take shape in 1962 when a mural created by Paul Coze known as “The Phoenix” was commissioned for the opening of Terminal 2. As the City of Phoenix grew and grew some more, its quaint but now bustling international airport needed to expand. The ongoing construction of Sky Harbor was intentionally designed with functionality, of course, but also with art in mind. The architects and planners of the airport wanted to be sure that all guests who come through the airport have the best possible experience. In 1988, the comprehensive version of the airport museum you see today was officially established. 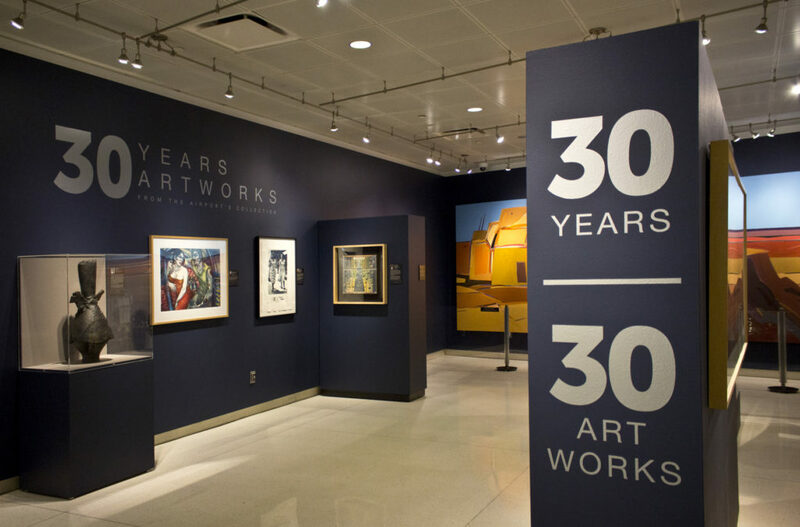 The Phoenix Airport Museum proudly boasts one of the largest airport art programs in the entire country and just celebrated its 30-year anniversary. The museum and its art galleria are not just located inside of Sky Harbor itself. 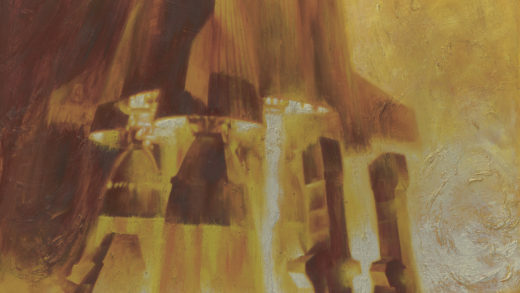 The airport’s primary public art pieces are exhibited at Sky Harbor, though there are also many extraordinarily curated collections at various related locations. “When people ask us, ‘Where is the museum?’ we usually say, ‘Inside, outside, above and below.’ In addition to our gallery-style spaces, we have artist-designed ceilings, terrazzo floors and an outdoor sculpture garden,” says Haley Hinds, Phoenix Airport Museum’s art specialist. “In fact, our collection extends out into the Rental Car Center, Goodyear Airport and Deer Valley Airport,” she explains. 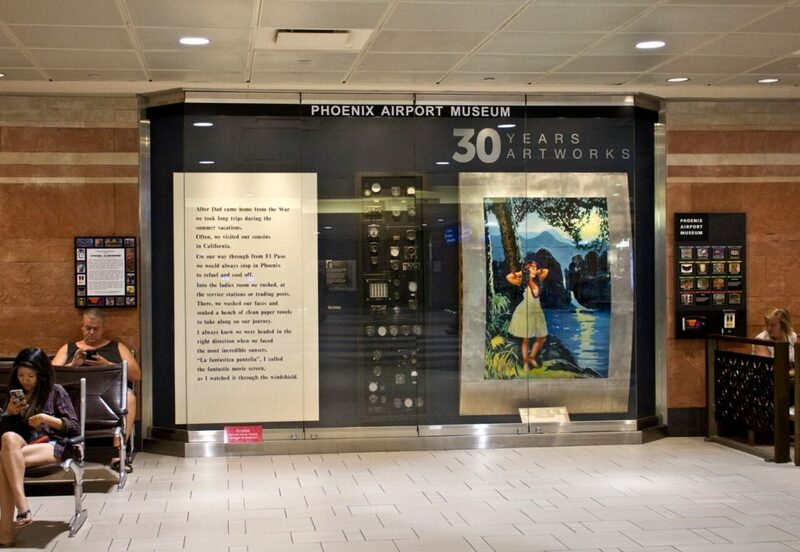 At Sky Harbor, current art exhibitions can be found in each of the airport terminals. 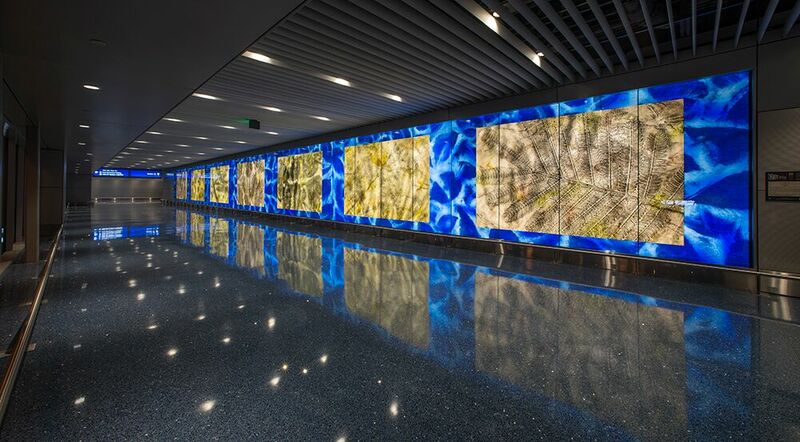 The vast majority of the exhibited art works and commissioned installations are displayed in the pre-screening areas of the airport. Most of the art at Sky Harbor International Airport is available to the public 24 hours a day. “We have a unique platform as an airport art program because of Sky Harbor’s urban location. Most of our exhibitions are pre-security, so the Phoenix Airport Museum is accessible to visit even without a boarding pass,” Haley says. The Phoenix Airport Museum’s core permanent collection includes approximately 900 works of art in varied artistic genres. The museum also has an extensive aviation history archive that is very popular with visitors, and is expanding each year. 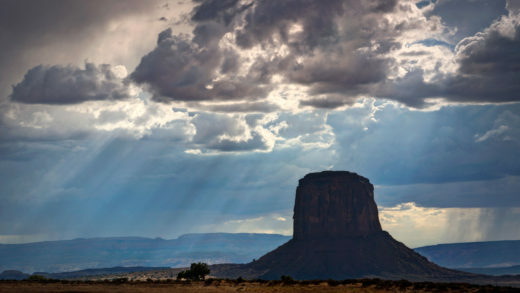 Renowned artists from all over the world, including Arizona, display their paintings, fine art prints and sculptures here at the airport museum. The museum’s cultural scope shows in its exhibits, and the museum strives to present Arizona’s individual creators in a variety of different artistic styles and disciplines. Along with an array of fine art prints and paintings, there are portable works like ceramics and a wide range of amazing photographic prints and mixed media art. The Phoenix Airport Museum staff consistently collaborates with local artists, collectors and other Valley museums to bring popular existing exhibitions into the airport. This small, yet incredible and creative team who smoothly runs the museum projects and day-to-day operations are world-class. 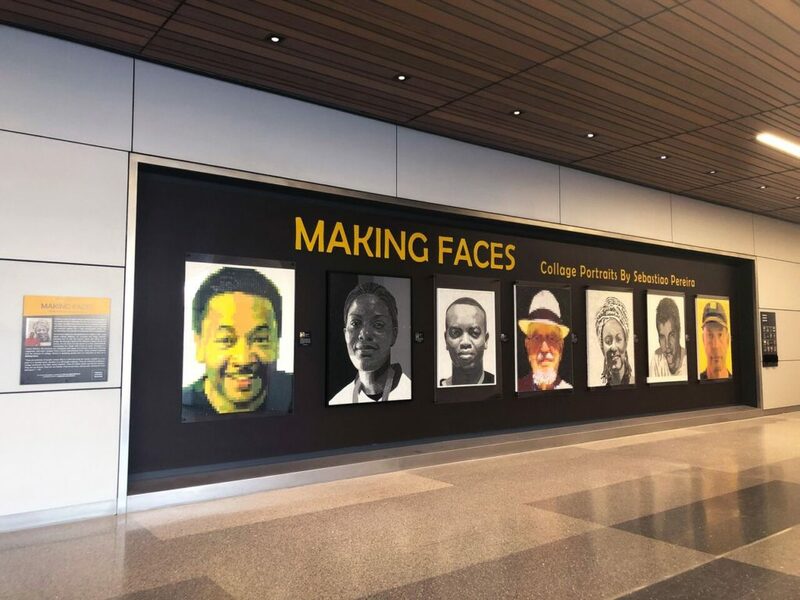 Always thinking outside-the-box, the dynamic staff at the airport museum curate new spaces and create pop-up exhibitions on construction walls. Their skill to adapt is a vital talent because of the constant new construction of the airport. Gary Martelli, curator and program manager at the museum, is the overall brains of the platform and has been with the Phoenix Airport Museum for over 20 years. From Brad Konick, who is the installer, fabricator and problem-solver, to Stephen Reichardt, the museum’s archivist and aviation buff, the overall museum operation is in exceptional hands. One of the more popular exhibitions is the aviation history collection. The aviation master collection collects, preserves and has shared artifacts and memorabilia pertaining to Phoenix and Sky Harbor Airport. It’s interesting to take note and experience the important achievements when it comes to the transportation industry in Arizona. Exhibits are not limited to air travel, however. 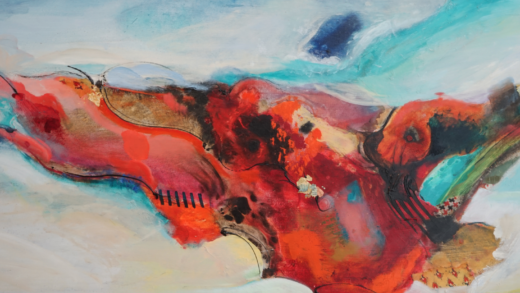 You will find a wonderful variety of works inspired by all sorts of life experiences. The Phoenix Airport Museum prides itself on understanding the importance of promoting the unique artists who call Arizona home. 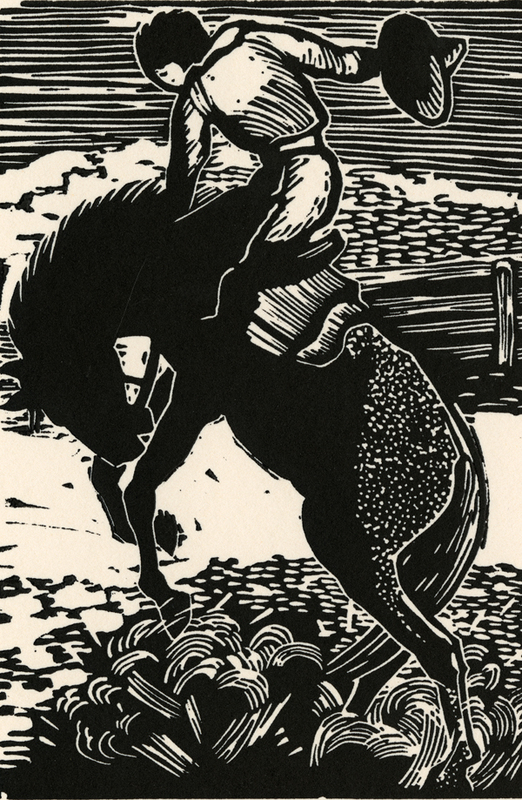 Notable artists featured in the airport museum include Anne Coe, Frank Ybarra, Ed Mell and Merrill Mahaffey. We all know that you never get a second chance to make a first impression. That holds true, even when it comes to a city. The museum achieves in creating and enhancing the overall airport environment by breeding a sense of warmth and humanity for all its 43 million airport visitors each year. The art collections serve to welcome everyone and be a point of pride for Arizona residents, reflecting the art and culture of Phoenix and continuing to go above and beyond through the expression of art and its genuine friendliness. “We often joke that Sky Harbor is a museum, where planes just happen to land and take-off,” Haley says with a laugh. The next time you have to catch a flight out of town, head over to Sky Harbor an hour early. The marvelous art housed within the most unique of venues is worth your time. The Phoenix Airport Museum is a cultural, historical, and educational mainstay within the city of Phoenix and is not to be missed.